Russian Tu-95 bombers have struck key Islamic State (IS, formerly ISIS/ISIL) and Jabhat al-Nusra (Al-Nusra Front) facilities in Syria’s Deir ez-Zor and Idlib provinces, the Russian Defense Ministry said. “Tu-95MS strategic bombers have carried out strikes with cruise missiles against the facilities of international terrorist groups in Syria. 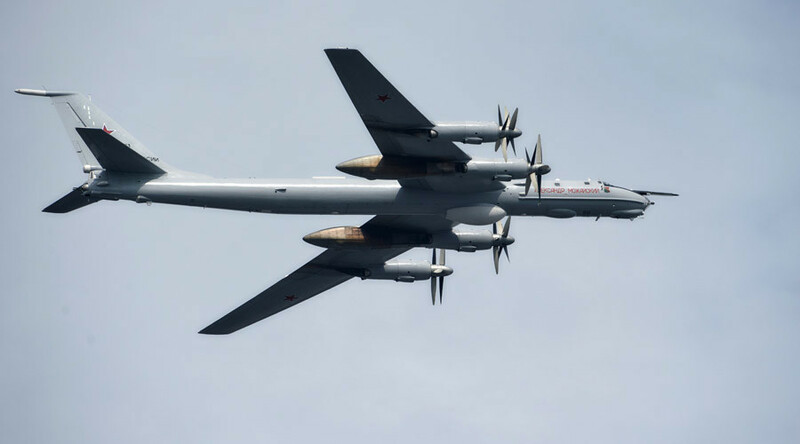 Taking off from the Engels airfield in Russia, the Tu-95s bombers flew over the territory of Iran and Iraq” to perform the mission, Defense Ministry spokesman Igor Konashenkov said. The H-101 cruise missiles, fired by the Russian bombers, targeted the “most important” Islamic State (IS, formerly ISIS/ISIL) and Jabhat al-Nusra facilities, which were uncovered by military intelligence, he added. During the mission, the Tu-95 bombers received Su-30 and Su-35 cover, stationed at the Russian base in Khmeimim, Syria, he said. In order to strike targets in Syria, the bombers covered a distance of around 7,000 kilometers, performing one refueling in the air via Il-78 tankers, the spokesman added. 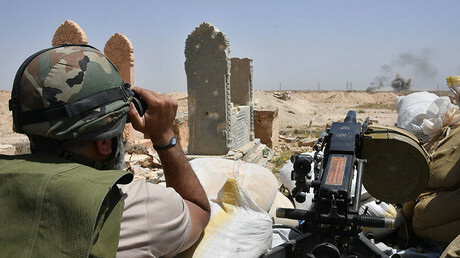 The airstrikes were carried out in support of a successful offensive on Islamic State positions in Deir ez-Zor by the Syrian government forces, Konashenkov said. Konashenkov also said it was puzzling that the aerial photos of American support points showed no signs of any military action around them. “This begs the question: With whom and against whom are the US Special Forces fighting in Syria,” which still remains unanswered by Washington, he said. On Monday, the US-led coalition asked Russia to stop revealing the positions of US-backed forces and coalition troops in Syria in order to realize the “speedy liberation” from Islamic State. “For operational security, we do not comment on ongoing operations or the current positions of coalition personnel and our partner forces,” the Combined Joint Task Force-Operation Inherent Resolve said in a written statement to RT. The CJTF-OIR added that it does not disclose the positions of Russian forces and the Syrian Army operating in the same area and urged Moscow to do the same in respect of US-coalition and allied forces.